Madeline Hampton knows how to tell a story! 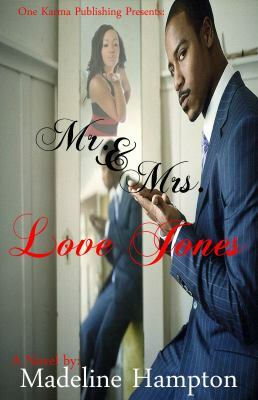 Populated with memorable and realistic characters, Mr. & Mrs. Love Jones is definitely not just a romance. The book opens with a young woman in a Miami park waiting for her lover. She is optimistic and excited about their future together but then something goes terribly wrong and she is murdered. Very early on, we learn that she was involved with the (very married) mayor, and questions are being raised about whether he could possibly be involved in her death. The mayor, whose god-daughter—Sherron Jones—is an ambitious young attorney and owes him a significant debt of gratitude for having practically raised her and shepherded her into a career in the law, is called upon to defend him when he is formally charged with the crime. At the outset, Sherron seeks his reassurance that he hasn’t in fact committed the crime and once she receives it, she throws herself into defending him zealously. But on the other side, the murdered young woman has her own advocate, Matthew Love, who is called to the scene where his cousin lost her life. And from that moment, he commits himself to bringing to justice the person responsible. Under these less than ideal circumstances, Sherron and Matthew meet, and despite their current situation as opponents in a very emotionally and politically-charged case, they are attracted to each other. I’ve never needed a whole lot of plot in books I read but the plot here is interesting and relatable enough to draw you in. Still, what I look for in a book is the opportunity to get to know characters. And Madeline Hampton gives us a really solid sense of who her characters are at their core. We learn about Sherron’s struggles with a mother who was unable to take care of her and about Matthew’s close bond with his cousin who has been murdered. I liked that Madeline Hampton did not rely only on narrative to tell us the history of these characters but allowed it come out organically through dialogue. The dialogue was perhaps what I liked most about this story. The characters had such strong and unique voices. Sherron’s two best girldfriends could just as easily have sounded identical, but they didn’t—you could tell from the dialogue alone who was talking, even without the author’s cues. “Hey, what’s up man? You got a few minutes, Mayor Turner hasn’t even gotten here yet. What you think of Ms. Jones?” Chuck E. asked, grinning like a damn fool. “She’s alright.” Matthew moved to open the door again but Chuck E. pulled him back. You can hear those words being spoken, and what’s more, you can picture the people speaking them. That was the good stuff. What didn’t work as much for me were the very things that might make this book work really well for someone else. While the characters were well-thought out, I found there were simply too many of them. Between the lawyers, Sherron’s girlfriends, the Mayor’s associates, and Matthew’s associates there were simply too many people for me to keep track of. With almost every new plot twist—and there were several—a new character was introduced. And when information could be conveyed through narrative, a new character might be introduced simply to convey the information through dialogue. But all in all, this was a wonderful romantic suspense novel that will keep you turning the pages until you figure out whodunit. I would recommend it for reading during a long weekend (or the 4th of July!) when you have time to truly sink your teeth in and enjoy. There are some things that are tough for any writer to do. And one of those things is to make likeable, a character who has done something inherently unlikeable. So when I read that ‘In Search of a Healing Place’ would be released, and that it would continue the theme of redemption explored in the two previous books, ‘Redemptive Acts’ I and II, I was intrigued. The act for which one of the male characters in ‘In Search . . .’ must be redeemed is one that all women fear, and that many women never recover from. So let me just say first off that it was an act of literary bravery for Nikki Walker to even attempt what she did in this book. Tyrone Wheeler, at the beginning of the story is leaving prison after having served time for an act of violence against Cherise, the wife of his twin brother, Jonathan. Years earlier, Tyrone also assaulted Cherise which resulted in a child his brother is now raising and thinks of as his own. He is estranged from his brother and does not know his child, and his father has arranged for him to work in the family business, albeit under significantly humbled circumstances. Farryn Grant’s responsibility is to shepherd Tyrone through this process. Nikki Walker did a wonderful job showing Tyrone’s transition from spoiled and privileged to a man who must live a more modest life and come to terms with both what he did and who he is. I particularly loved that she explored the family dynamics that made Tyrone the man he became. Instead of making him a villain who was villainous for no apparent reason, she gave us enough fodder to explain why Tyrone became the kind of man who once thought that if he wanted something, he should simply take it. His college football star status, his parents’ indulgence, and his brother’s lifelong enabling of Tyrone’s bad behavior all contribute to making him who he is and that theme is thoroughly and satisfactorily hashed out in this book. But even as Tyrone begins to heal and learn things about himself through his growing relationship with Farryn Grant, others in his family have their own healing to do. His mother, Elise, is still trying to indulge him, and behind the back of both her husband and other beloved son, Jonathan, is conspiring to gain Tyrone access to the daughter he does not know. This portrayal, of a mother who loves one child to a fault, and often at the expense of her other child(ren) and marriage rang true to me. Her insistence on giving him what he wants, even when he has not yet earned it, gives even more insight into how Tyrone could have done what he did in the earlier books. And also convincing, was Nikki Walker’s depiction of Jonathan’s conflict. He cannot help but love his twin brother who is his mirror image and part of him, but he is torn because that brother also raped the woman who would become his wife, and fathered the child that would have been his. Jonathan loves his wife and the child he thinks of as his own, but is plagued by an invisible barrier of anger and regret. There is one scene in ‘In Search of a Healing Place’ where Tyrone and Jonathan have a physical confrontation, that serves the purpose of purging them both of the rage and resentment that they have toward each other, and afterwards they realize what they had almost forgotten—that they are and will always be each other’s other half. I read that scene and I believed it completely. Jonathan had a lot to forgive Tyrone for, but somehow this author made us understand that the cost to him of not forgiving would have been far greater. What was more challenging for me in this book was the wholehearted reconciliation between Tyrone and Cherise. Now experiencing marital problems with Jonathan, Cherise somehow finds a way to forgive Tyrone, the man who is at the root of those problems. And not only is Tyrone the person who is causing tumult in her husband (and hence in her relationship with him) he is the man who robbed her of her ability to give all of herself to her husband, physically and emotionally. That she would come to tolerate him is believable, but Cherise was able to embrace him as part of her life by the end of the book. To see Cherise get to that “healing place” without considerably more agonizing made me a little skeptical. But at the end of the day, that was the only thing I remained skeptical of. 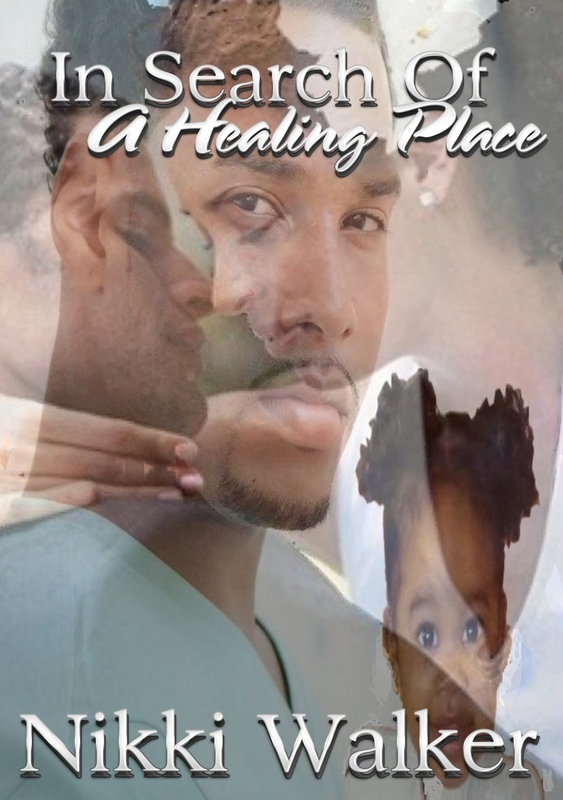 I give this story 4 stars because I saw and felt Tyrone’s transformation and traveled with him on his journey to healing. And I even, in spite of myself, began to feel actual sympathy for him. And that surprised me. I recommend this book and the entire ‘Redemptive Acts’ series. They would make a great pick for book clubs because of the questions about love, family, forgiveness and redemption that it raises. Good books are like good conversations, so I encourage you to read it for yourselves, because this series will give you plenty to talk about. When you pick up a novel from the romance section, you pretty much think you know what you’re going to get. A couple meets, they fall in love, they face an obstacle (or two, or three) and after some nail-biting occurrences, misunderstandings and relatively minor mishaps, they overcome the obstacle and live happily ever after. I had no reason to believe that The Love Sessions would deviate too much from that tried and true formula, and I was prepared for it. Even though you know where you’re going, it’s always great to see how different authors get you there and the people they introduce you to along the way. And for me, great romance novels have another couple of components—they should make you the reader actually doubt that it can or will end up with an HEA (happily ever after); and they should bear some semblance of a relationship to something that could happen in real life. I am not a fan of fairytales. So with that background about my own biases, let me tell you what I thought about The Love Sessions. This novel opened with an introduction to a very appealing male protagonist, Nathan. He’s in the Poconos supporting his sister and family as they hold a relationship retreat for couples about to get married. Nathan is himself not on the market, because he’s more concerned about his vocation in life than about women. But then he meets Keri, who though she is at the retreat with her fiancée, is aware that all is not well with their relationship. With the backdrop of Nathan and Keri’s developing attraction for each other, we learn about three other couples, whose stories are told during the various sessions at the retreat, and whose journeys represent the tests that couples endure to each of their marital vows. The author very cleverly titles the various sections of her novel after the vows we’re all familiar with. 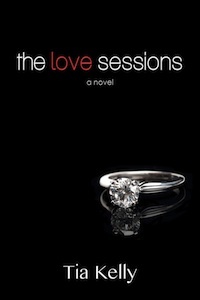 It was around this time that the story broke away from Nathan and Keri for a spell that I realized that The Love Sessions is no run-of-the-mill romance. In fact, I’m not sure it should even be classified as such. The journey of these couples was riveting, emotional and gritty. The challenges they faced were not your average romance novel fodder. They were real-life, grown-folks problems; the kinds of problems that can easily make or break relationships and shatter lives. The exchanges between the couples were difficult to read at times, and occasionally felt voyeuristic, like I was peeking into people’s private business that I had no right to know about. I hesitate to discuss at length the nature of the challenges these couples faced because every single one would be a spoiler. Just read it for yourself! What I will say, is that at the end of the day, there were no fairytales for most of these couples, but this is not to say that their endings weren’t happy. What stood out for me was that this author took the risk of having her stories end, but with the implication (which I LOVE in a book) that these characters go on with their lives—for good or for ill—even after she’d written her last page. After finishing The Love Sessions, I had to ponder for a few days how to write this review and what I wanted to say. I think if I were to say one thing (okay, two things) it would be this: The Love Sessions is not about romance, it is about unmasking happily ever after and forcing us to think about what lies beyond those words. It is also about how marriage is often not the conclusion of a story but the beginning of one. Those two things I LOVED about this book. But because the author seems savvy and aware of her audience, there’s a sweet, feel-good fairytale romance in there as well. A little sweet to help the bitter go down more easily. I give The Love Sessions 4.5 stars for one reason only. While I liked that these couples had such layered and complex issues and that the issues were some that real people can relate to, I did feel that any one couple or even two couples could have made for a more rich exploration of the themes in the book and of the characters themselves. I felt that I could have been more attached to them as people had there been fewer of them to get to know. But I freely admit that that’s a personal preference. I like to go deeper rather than wider when I read a book. So I would have preferred fewer couples if that meant going deeper. Having said that though, in The Love Sessions, Tia Kelly managed to do both deep and wide, and I highly recommend this book. It’s not your average romance novel.